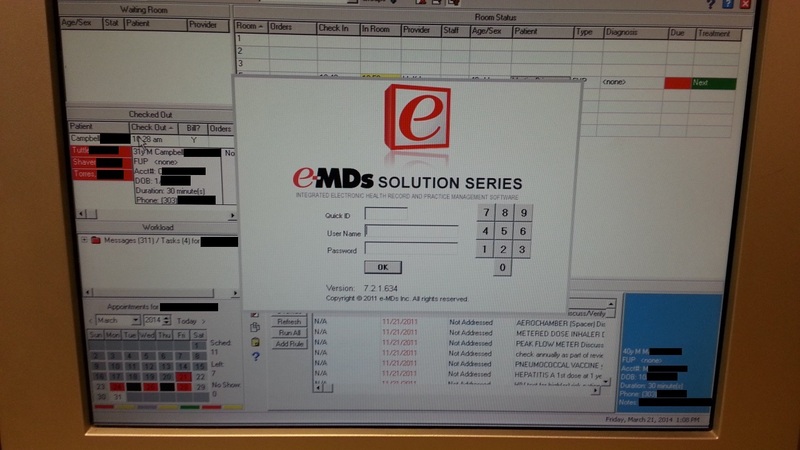 e-MDs, Inc. Solution Series integrated electronic health record and practice management software version 7.2.1.634 contains a flaw in the screen lock functionality. When a user locks the screen, under some circumstances, the screen will display the login box but fail to obscure any of the information displayed otherwise. As I discovered on March 21, 2014 at my doctor’s office, the screen not only displayed some of my information including name, account number, date of birth, phone number, and doctor notes, it also showed the same information for a second patient.